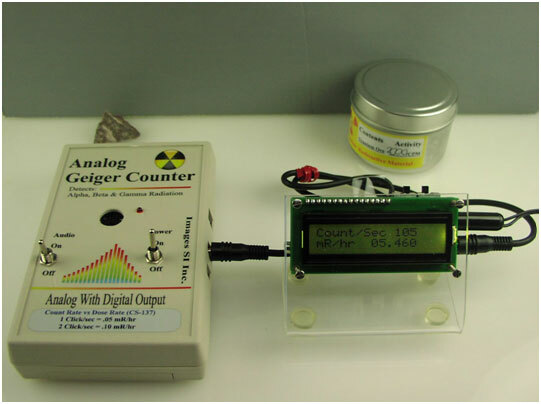 Plain vanilla Geiger counters that have a pulse output can be brought into the Digital age using a Digital Meter Adapter (DMAD). 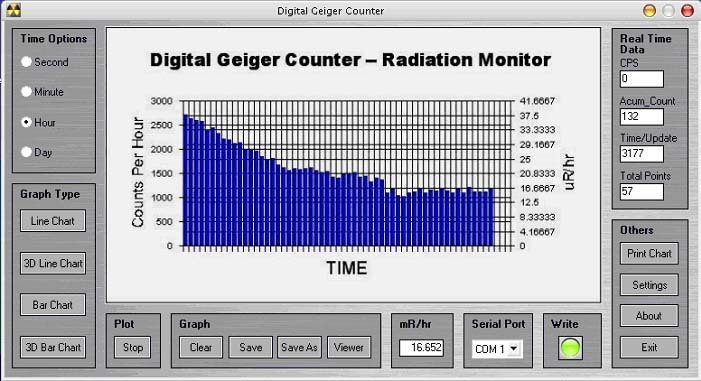 To work properly, the Geiger counter must output a pulse for every radioactive particle it detects. The GCA-01 shown in figure 21, is an inexpensive Geiger counter that may be purchased for under $100.00 as a kit or for $129.95 assembled and tested. The DMAD Adapter may be used with any Geiger Counter that outputs a TTL Digital pulse for each radioactive particle detected. Since the DMAD is a general device, the radiation conversion may not be exact since different GM tubes have different responses to radiation. The CPS or CPM counts will be exact. The DMAD may be purchased as a kit for $59.95 or assembled and tested for $89.95. 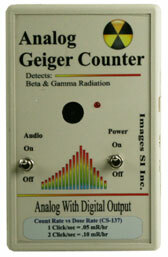 In figure 23, shows the DMAD connected to a inexpensive Geiger Counter. The DMAD also has other enhancements. It has a serial output that is compatible with the USB-TTL cable that will allow you to use the Images SI Inc. free Radiation Monitoring and Charting Software. The DMAD also has a true random number generator function. More information on the DMAD can be found here.